To take the newly released 911 to its limit, Porsche developed a small series of racing versions that focused primarily on weight reduction. These super lightweight racers were the first among a series of 911s that would dominate GT racing for over 40 years. Four prototypes initially surfaced from Porsche’s experimental department in Spring of 1967 with every possible component replaced by a lightweight counterpart. This meant most of the panels were refabricated in lightweight fibreglass including the doors, hood, engine cover and bumpers. Along with the standard interior delete and lightweight windows, the 911R was only 1786 lbs (810 kg), some 500 lbs (230 kg) less than the standard 911! Included was the Typ 901/22 engine from the Carrera 906 with a standard alloy crankcase. Most cars used Weber 46 IDA3C carburetors, while some featured the mechanical Bosch fuel injection system. Optionally the four-cam Type 901/21 engine which produced 230 bhp (171 Kw) was available. Outwardly, the 911 was distinguished by flared wheel arches, smaller bumpers and distinctive circular rear lights. In detail, the extent of the 911R program becomes apparent with details such as a bank of louvers in the rear quarter windows, plastic door hinges and wider Fuchs alloy wheels. While initially conceived to race in the sports car class, the R never met homologation requirements and was forced to race with the potent prototype classes. However, this didn’t stop Porsche from building 20 customer cars that went on to race to select events in 1967 and 1968. Alongside competition such as the seven-liter Ford GT40, the 911R never got its honest chance at victory until the Tour de France relaunch in 1969. A single car was entered in the race by the factory with Gerard Larousse behind the wheel. 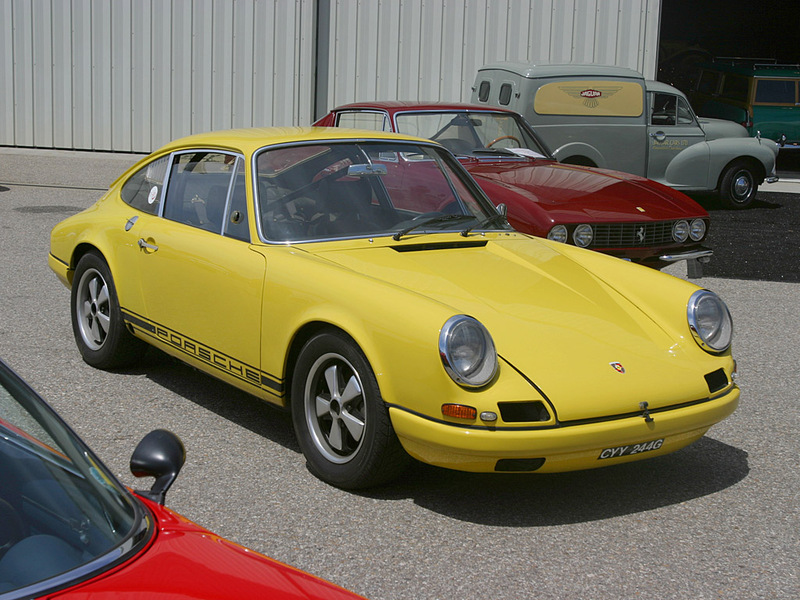 The agility of the 911 helped him take the overall victory through a mixture of hillclimb and road courses. Beyond the Tour de France, the 911 R failed to take any other significant victories. Porsche learnt from their mistakes and developed the much more standard 911 2.0 T/R 911 for customers dedicated to the GT class. No doubt, the 911 R would have contributed much more to the 911’s legacy had Porsche filled its 500 car requirement for homologation. Production ceased in 1968 after four prototypes and 20 customer cars had been made.